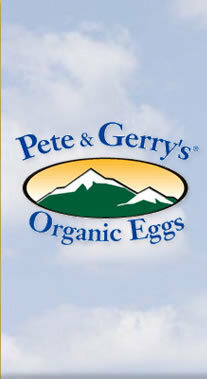 Pete & Gerry’s Organics Cage-Free Eggs Giveaway Plus an Amazing Pumpkin Cheesecake Recipe! Pete and Gerry's Organics is a real family farm. They've produced high-quality eggs for four generations in the heart of New Hampshire's White Mountains. 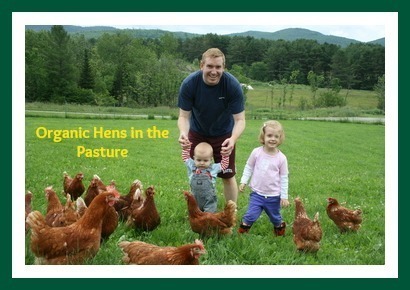 They are committed to producing fresh, organic, cage-free, Omega-3 eggs from hens that are Certified Humane. This commitment remains unchanged as they add other family farms to our farm family. They hope you enjoy their delicious organic eggs! Fall is here and it’s time to bring back everyone’s favorite fall recipes. Pete & Gerry’s Organics’ fall staple is our version of a pumpkin cheesecake. Nellie’s Nest Cage-Free eggs come from certified humane raised and handled hens. Not to mention, Nellie's Nest Cage-Free eggs taste better because they come from happy hens doing what comes naturally to them. Check out Nellie’s Nest fall pumpkin cheesecake recipe using Nellie’s Nest Cage-Free eggs! Preheat oven to 425°. Combine ingredients and press into bottom of 10" spring-form pan. Bake for 8-10 minutes. Remove from oven. Reset oven to 325°. Beat cream cheese with mixer in a large bowl until smooth. Gradually add sugar, beating until light and fluffy. Add maple syrup, cognac, ginger, cinnamon and nutmeg. Blend thoroughly. Add eggs, one at a time, beating thoroughly after each one. Add whipping cream and pumpkin. Mix well. Pour onto cooled piecrust in spring-form pan. Bake at 325° for 45 minutes, then turn oven off but do not remove cheesecake. Do not open door during baking time or for one hour after oven is turned off! Preheat oven to 425-degrees. Blend ingredients, spread over cheesecake and bake 10 minutes. Allow to cool at room temperature. Chill for at least 3 hours before removing sides of pan. Win! Pete & Gerry’s Organics would like to offer a giveaway of their Nellie’s Nest Cage-Free Eggs to 3 lucky readers! Just enter to win using the Rafflecopter form below. Good Luck! Disclaimer: I will receive product vouchers for this post.